and giving you another chance to hear him explain the evidence behind his view that sugar – not dietary fat – is the primary driver of obesity, diabetes, heart disease and many other serious health problems, including mental health disorders. It gives us great pleasure to announce an opportunity to hear from Professor Michael A Crawford of Imperial College, London – an internationally acclaimed expert on the role of nutrition in brain development and function. At this special one-day event, he will be joined by Dr Alex Richardson and Dr Bernard Gesch, senior researchers at the University of Oxford and leading experts in the links between diet and behaviour, and Mr David Rex, specialist child health dietitian at Highland Council. The programme for the day has been designed for a multi-disciplinary audience of professionals, policy makers, researchers from academia and industry, and other interested groups and individuals. It will give all participants the chance to hear about and discuss the links between nutrition and mood, behaviour and learning in children and adults – both in the general population, and in special groups such as those with developmental or mental health conditions. Find out how our food choices, and those of the people we care or provide for, could be affecting our wellbeing and performance – at home, at school or in the workplace. How does what we eat affect the way we feel, think and behave? What’s the truth about sugar and fat? Could some of our favourite foods really be toxic and addictive? Does nutrition really make a difference to children’s behaviour and learning? If so, what are the implications for conditions like ADHD, dyslexia or autism? What’s the evidence that dietary interventions could reduce antisocial behaviour? Can diet help in the prevention and management of mental health conditions like depression, psychosis and dementia? Improving food choices – what can be done, and who should be doing it? Find out from our panel of experts what the real truth is about the food we consume, and what it’s doing to our brains as well as our bodies. Join in the discussion about the impact of modern day diets, their implications for the public health crisis, and what can be done to improve outcomes for both current and future generations. This event will provide you with opportunities not only to learn about the latest research findings, but also to ask your own questions and get answers that may influence some of the decisions you have to make every day. This event will also be available by interactive webinar. David Rex (Dietitian, Health & Social Care – Children’s Services, Highland Council; lead public health role, food & health in schools, nurseries and children’s residential units; and provides specialist Dietetic advice for children with Autistic Spectrum Disorder (ASD) and Attention Deficit Hyperactivity Disorder (ADHD). *Includes access to the webinar on the day and for one month post-event via the FAB Audio/Video Library. For continuing access, consider a subscription to FAB Research – see below. 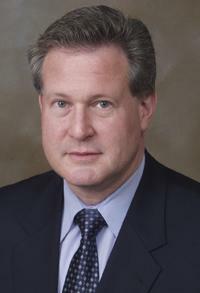 **Subscribe to FAB Research as an Associate Member today and enjoy free access not only to this webinar, but also to our library of eventcasts and other resources, including footage of our recent event with US Pediatric Obesity specialist, Professor Robert Lustig MD in London, March 2013. Join up here FAB Research Associate Membership. A lack of vitamin C during pregnancy can have serious consequences for the development of the foetal brain, leading to long term damage that cannot be reversed after birth, warn researchers writing in PLoS ONE. “Even marginal Vitamin C deficiency in the mother stunts the foetal hippocampus, the important memory centre, by 10-15%, preventing the brain from optimal development”, said research leader Professor Jens Lykkesfeldt – from the University of Copenhagen, Denmark. Source: Nutraingredients – 20 Nov 2012 – Link to the full news item here. Families are filling up on high-fat processed foods as 900,000 fewer in two years manage ‘five-a-day’ fruit and vegetables. Austerity Britain is experiencing a nutritional recession, with rising food prices and shrinking incomes driving up consumption of fatty foods, reducing the amount of fruit and vegetables we buy, and condemning people on the lowest incomes to an increasingly unhealthy diet. Consumption of fat, sugar and saturates has soared since 2010, particularly among the poorest households, despite the overall volume of food bought remaining almost static. Food experts and campaigners called for government action to address concerns the UK faces a sustained nutritional crisis triggered by food poverty, which is in turn storing up public health problems that threaten to widen inequalities between rich and poor households. Source: The Guardian – 18 Nov 2012 – Link to the full news item here. Information about why doing a Gluten-Free Challenge may be right for you. There are many studies supporting the gluten-mood connection – anxiety, social phobia, depression and even schizophrenia. A 2002 study titled Psychiatric Symptoms and Celiac Disease states that celiac disease “should be taken into consideration in patients with psychiatric disorders particularly if you are not responsive to psycho-pharmacological therapy, because withdrawal of gluten from the diet usually results in disappearance of symptoms.” Gluten can also cause fatigue, aches and pains, poor focus and of course digestive problems like constipation, gas, diarrhoea and bloating. Source: PsychCentral – 9 Nov 2012 – Read the full article here. Think of the health benefits of vitamin D, and you’ll probably think of bone strength. For decades, diseases like osteoporosis, osteopenia, and osteomalacia have been prevented and treated with adequate vitamin D intake, among other interventions. In recent years, the evidence that vitamin D affects more than just bones has mounted; cardiovascular disease, cancers, stroke, depression, and metabolic disorders have all been linked to low vitamin D levels. A new review adds cognitive decline and dementia to that list. Source: BrainBlogger – 29 Oct 2012 – Link to the full article here. With a sophisticated neural network transmitting messages from trillions of bacteria, the brain in your gut exerts a powerful influence over the one in your head, new research suggests. Source: The American Psychological Society – 18 Oct 2012 – Read this article here. Brain scans show that skipping breakfast makes fatty, high calorie foods appear far more attractive later in the day, according to researchers. Scans of 21 people showed the brain was more attracted to food if breakfast was missed so people had more food at lunch. Scientists said it made losing weight challenging as missing meals made calorific food even more appealing. Source: BBC News – 17 Oct 2012 – Link to the full news item here. A new study has uncovered a significant link between vitamin B levels and the mental health and well-being of children and adolescents. The research, led by The University of Western Australia-affiliated Telethon Institute for Child Health Research and published in the international journal Preventive Medicine, indicated that children with a diet low in B-vitamins were more likely to experience mental health and behavioural problems than those with a healthier diet rich in B-vitamins. Source: Medical Xpress – 10 Oct 2012 – Read this article here. Happiness and mental health are highest among people who eat seven portions of fruit and vegetables a day, according to a new report. Economists and public health researchers from the University of Warwick studied the eating habits of 80,000 people in Britain. They found mental wellbeing appeared to rise with the number of daily portions of fruit and vegetables people consumed. Wellbeing peaked at seven portions a day. Source: Science Daily – 9 Oct 2012 – Read this article here. A new three-year study, set to begin in the US in January, will investigate whether daily doses of a common dietary supplement could help curb the number of suicides among military personnel and veterans. The study is part of the US Defense Department’s heightened focus on suicide prevention as the number of service members attempting to take their own lives has risen. Source: Reuters UK – 8 Oct 2012 – Read this article here. Revealing the rich and controversial past of sugar, alcohol, tobacco and opium, Hollywood actor Brian Cox embarks on a thought-provoking journey to uncover how the commercial exploitation of these products hooked the rest of the world on an appetite for a good time. In this first of three episodes, Brian wants to find out why (like millions of other Brits), he is a diabetic. Starting in Barbados, from which sugar cane fuelled a consumer revolution, Brian discovers how the British acquired a ‘sweet tooth’ and why today, this has led to epidemic levels of diabetes, obesity and even addiction to sugar. Do you shop for books and other items at Amazon? Got some Christmas Shopping to do on Amazon? FAB Research are ‘associates’ of Amazon which means that the charity benefits from any shopping that you do (at no extra cost to you) if you enter Amazon.co.uk or Amazon.com via our affiliate links. UK shoppers can buy online via this link Amazon UK – FAB and overseas shoppers via this link Amazon non-UK – FAB. IMPORTANT: If you have an Amazon account, you need to sign into your account first , and then click on these links in order to allow FAB Research to benefit. Please save these links or bookmark them in the Bookstore on the FAB website. Supporting Recovery From Food And Substance Misuse With Nutritional And Lifestyle Interventions. Addiction treatment centres in the UK combine medication, counselling and behaviour modification to tackle cravings and aid recovery, yet relapse rates remain alarmingly high. This practical, in-depth handbook examines newly emerging concepts in the management of addiction. Leading researchers and experienced nutrition practitioners explore the underlying nutritional and biochemical factors involved in addictive behaviour, and the importance of nutrition in the prevention and management of addiction and its role in sustainable recovery. An up-to-date, fully referenced resource with a glossary and guide to drug terms. It is a useful guide for those with a basic understanding of nutrition, as well as for more experienced practitioners and health care professionals. Price £23.00 inc p&p or free when you subscribe to FAB Research as an associate member. Purchase your copy here or subscribe to FAB Research Associate Membership here. As popular as ever since first published in 2006, Dr Alex Richardson exposes the truth about what children eat – or fail to eat – and the impact of this on their behaviour, learning and mood. She explains why common culprit foods can be so damaging – and so irresistible – and shows how to bring the best choices into your child’s diet. A few simple changes can be all it takes to make the world of difference. Price £12.00 inc p&p. Purchase your copy here. This groundbreaking book is the first to be published internationally that examines the link between one of the proteins in the milk we drink and a range of serious illnesses, including heart disease, Type 1 diabetes, autism and schizophrenia. These health problems are linked to a tiny protein fragment that is formed when we digest A1 beta-casein, a milk protein produced by many cows in New Zealand, Australia and other western countries. Purchase your copy here. The ultimate guide to help you manage your cholesterol levels and reduce your risk of cardiovascular disease. Discover what you really need to do to decrease levels of oxidized cholesterol and maintain a healthy cardiovascular system using everyday foods and lifestyle adaptation. Available from www.need2knowbooks.co.uk. Calling all Facebook and Twitter users, join us at www.facebook.com/FABResearch and follow us on Twitter https://twitter.com/FABResearch. Twitter users can also follow ‘They Are What You Feed Them’ https://twitter.com/WhatYouFeedThem where we’re sharing insights from this hugely popular and well-referenced book. This E-News Alert gives only a few highlights from the hundreds of online resources available at http://www.fabresearch.org. These include News articles, Research papers, Books, Handouts, Fact Sheets, Events and links to other websites. Please use the search box (or the filters we’ve provided) to find what’s most useful to you. Our website is updated regularly with new information for everyone interested in how nutrition and diet can affect behaviour, learning and mood. FAB Research is a charitable organisation dedicated both to advancing scientific research into the links between nutrition and human behaviour and to making the findings from such research available to the widest possible audience.